Mr Debashish Bhattacharya Senior Geologist from GSI (Geological Survey of India) is in Kalimpong until tommorow 04Dec2013. 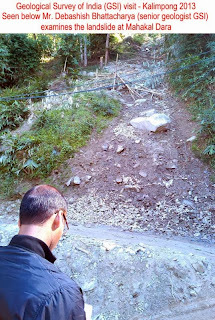 The Scientist was here around the same time last year in 2012, during which STH had accompanied him on recce trips to most of the landslide affected places in Kalimpong. 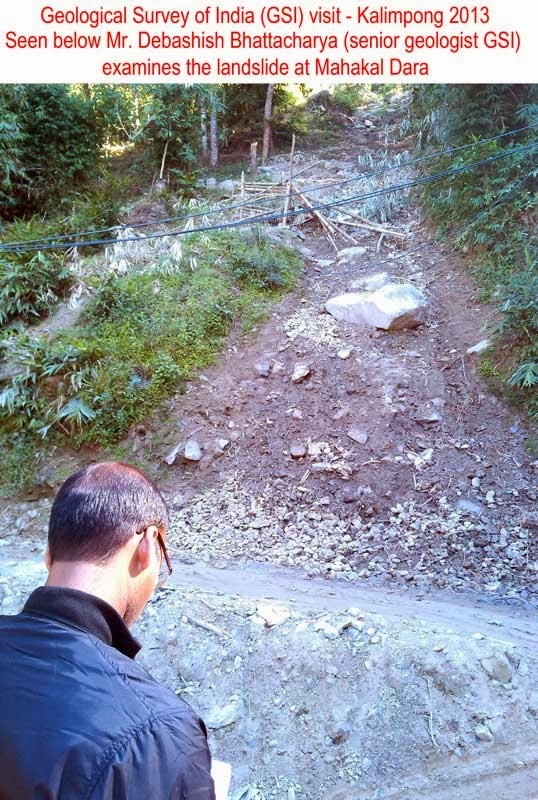 The monsoon season in 2013 was a rather mild one and there were hardly any new landslides this year and most of the major landslide zones from the years before showed very little signs any fresh activity. We have been with the geologist since the 28Nov2013 and will be going on our last field visit today 03Nov2013 to Nimbong, Suruk and Samthar villages.